Musicals! 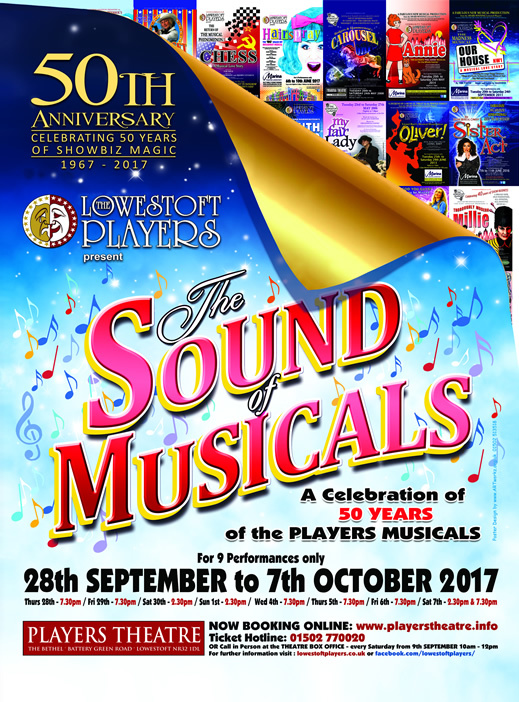 – The Sound of Musicals, review published in the Eastern Daily Press, online edition on Saturday 30 September 2017. Musicals are worth celebrating anytime, but the Lowestoft Players have a special reason to pull out the musical theatre stops. 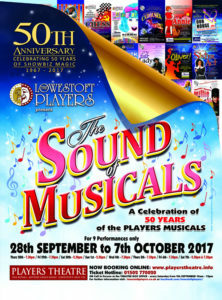 Founded in 1967, the award winning Lowestoft Players open their golden jubilee year with ‘The Sound of Musicals’ at their very own Bethel Theatre. With over 50 musicals to their credit, not to mention pantomimes, plays and revues, this talented, continuously inventive all-age cast present a sparkling show offering a taste from most of those musicals! More than a concert of excerpts, this has dancing, moving, magnificent singing, comedy, emotion and a gripping sense of showbiz and spectacle – a hallmark of the Players’ house style. From traditional musicals like Annie Get Your Gun, Carousel, Oklahoma and Oliver, to less familiar favourites such as Jekyll and Hyde, Titanic, Grease, Little Shop of Horrors, Boogie Nights and The Scarlet Pimpernel. They showcase moments from Chess, The Hired Man, Summer Holiday, The Full Monty and Spamalot. There is the traditional, the experimental and the joyous glory of stunning costumes and backdrops, enthusiasm in waves and a professionalism that belies the ‘amateur’ status they enjoy. Happy Birthday, Lowestoft Players! Join their party; it’s on till 8th October. See How They Run is a farce by Open Space Theatre company, performed at the Seagull Theatre, Lowestoft, April 2017. Bugsy Malone is one of those marvellous creations – a piece of fun-filled, light-hearted, joyful nonsense that’s stood the test of time (it was first around as a film in 1976) and is accessible to all ages. 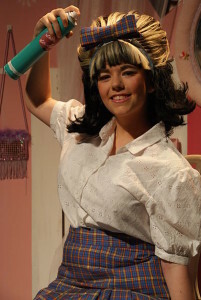 In the hands of the production team led by the indomitable Jo Gilbert, East Point Academy did a wonderful job in bringing sheer entertainment to large and enthusiastic audiences. Set very loosely in the speakeasies and alleys of Prohibition-era Chicago, it revolves round rival gangsters, hoodlums, undesirables, loose women, death dealt by cream pies and splurge guns and a couple of incompetent cops. It packs some favourite songs, such as ‘My Name Is Tallulah’, ‘Tomorrow’, ‘So You Wanna Be a Boxer’, ‘Down and Out’, ‘Fat Sam’s Grand Slam’ and the title number, ‘Bugsy Malone’ back by a cool band, led by Rebecca George, from Langley School. The principals – Bugsy (Charlie Read), Blousey Brown (Erin Halliday), Fat Sam, (Jacob Clarke), Tallulah (Alisha Giles) – were funny, talented and generated infectious enjoyment of the show excellently supported by a zany crowd of extras and minor parts. Christmas, coming as it does ever earlier and ever more commercial, is likely to bring out the inner Scrooge in many of us. 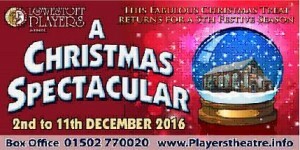 The Lowestoft Players’ annual spectacular seasonal variety show is the perfect antidote to that. There is something about the warm atmosphere of the Players’ Bethel theatre, lights, effects, magnificent costumes, superb singing, dancing and comedy routines – some new, some old and some new takes on old favourites – that is heart-warming and feel-good. Directed by Lauren Nevill and Polly Woodward, with choreography by Emily Fox and musical direction by Krista Ribbons, this year’s bumper show has a versatile and energetic main company with some impressive solos. It’s the transitions between styles and genres that spread the goodwill – farce to poetry, Buble to contemporary twists on classics and Christmas carols with the real message of love and hope. One regular highlight is a couple of routines from the Louise Elizabeth School of Dance and this year’s included a memorable ‘Riverdance’ rendition that rocked the whole place. The Players have made their spectacular as essential to Christmas in Lowestoft as mince pies and presents. 2013, my first review of a seasonal spectacular for the Players. 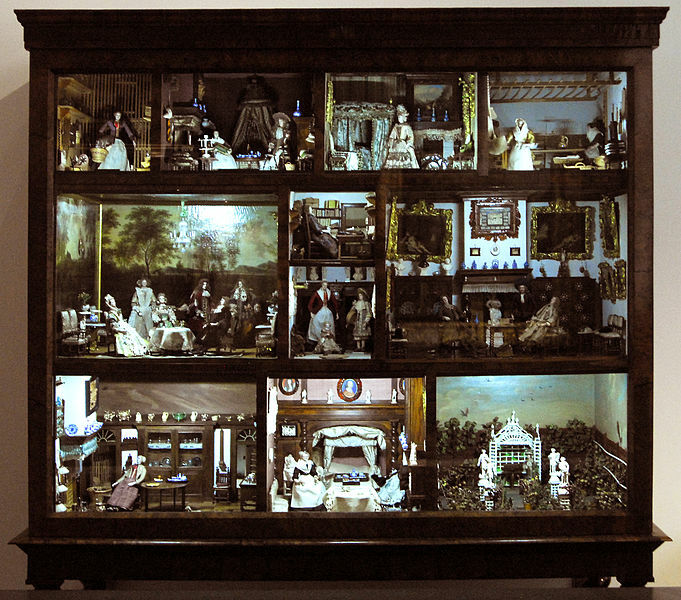 A Doll’s House, Ibsen’s dark classic drama, is less about a woman’s rights than her need to discover who she is without reference to men’s control and approval. The central character played by Cathy Gill in a performance that should be shown to acting students, leaves her husband, his ‘dolls’’ house and their children in what was in the 1870s, deeply shocking. She does this after the consequences of her own lies to cover up an intended good act begin to emerge with devastating effect and more potently, her own husband’s (excellently unlikeable Darren France) blatant hypocrisy and double standards stun her. Peter Sowerbutts, the terminally ill friend, plays a compelling deadpan of worldly weariness, cynicism and mystery, David Blood inhabits the slightly sinister fraudster who is redeemed by love while Mia Chadwick as the friend, strikes a balance between her own needs and those of the protagonist. They’re ably supported by Penny Martin and Ruby Potter as servants and two adorable young children. David Green has deftly directed a masterpiece, with his eye for irony, secrets, humour and real understanding of characters the audience engages with. 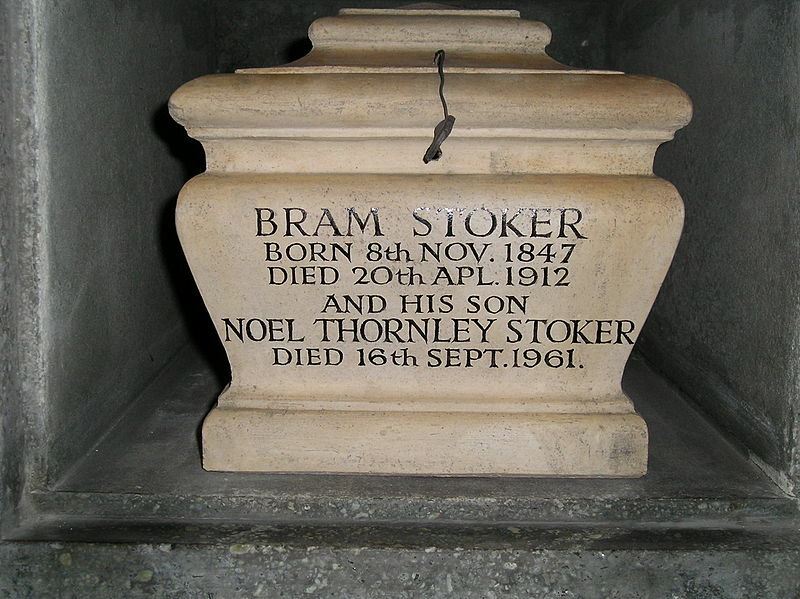 Dracula is Bram Stoker’s most famous work. Notice he was cremated, not buried! Dracula was an ideal spooky yarn to mark both the Hallowe’en season and the Old Time Radio Club’s return to the Seagull Theatre. 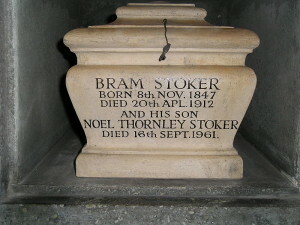 Bram Stoker’s enduring Dracula was presented as in an old time classic radio studio style with live musical accompaniment from the show’s producer, Richard Ainslie. 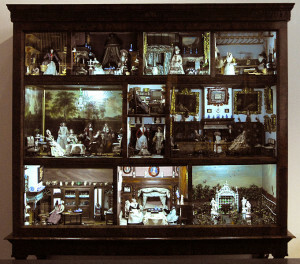 The set was an interesting studio layout by Lilla Read and Harry Cooke. David Higgins made all the sound effects live and Richard Melchior wrote and took part in the compelling story. The other performers were Chris Whiting, Lee Jackson, Becca Martin, Erin Girling, Thom Bailey and David Emerson who shared the characters with cleverly articulated voices. The audience was invited to shut the eyes and just listen, as to a radio, but the interactions, the movement to and fro the microphones and the facial expressions were an irresistible part of the whole compelling experience. Humour came from some authentic-sounding early radio sponsor adverts and the Dracula vault was opened in an unusual way – you could almost taste the blood and feel the stakes going in. Hay Fever is the Noel Coward play he himself described as difficult to act with no plot and remarkably little action. However, Yakety Yak successfully transform heavy stylised comedy that is rooted in the 1920s into a timeless gem. Set in the bohemian house of the Bliss family, each has invited a guest for the weekend without telling the others. They proceed to humiliate and generally confuse their visitors while playing startling mind games. Agnes Lillis is the magnificent mother, a retired actress who has yet to give up over-acting and histrionics. Geir Madland is her masterfully understated husband. Tom Scannell plays the son of the house who is a delightfully flippant but bad artist. His sister is Sophie Scannell with a touch of empathy glimpsed beneath her off-handed cruelty. Charlotte McGuiness, Tom Guttridge, Nancy Paul, George Eddy as guests and Mary Hunt, the maid, brilliantly turn their bewilderment and trivial lives into comic gold. 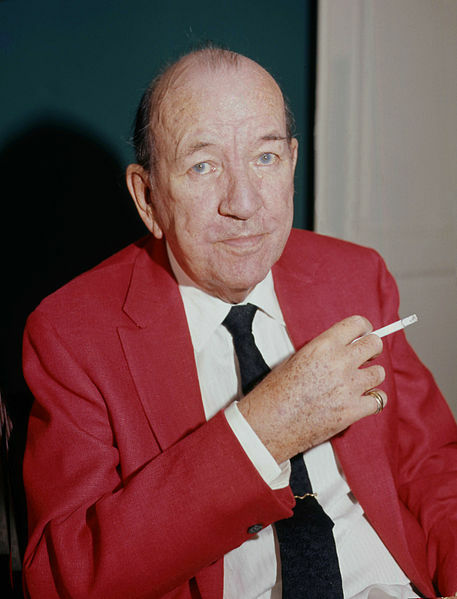 Collectively the ensemble sustains a cracking pace that sparkles with Coward’s verbal comic repartee and some excellent physicality. 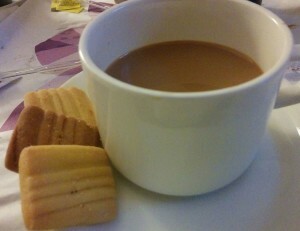 All in all it’s a deliciously, ripping evening of pure pleasure. 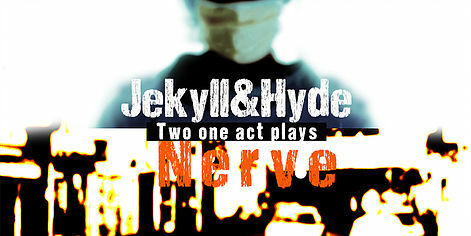 Jekyll & Hyde, the much-loved classic gothic horror tale from the pen of Robert Louis Stevenson, has long been a rich source of dramatic ideas from the dark side of the human soul. In this contemporary take on madness and pressure, Reverend Theatre brought to life four characters (a surgeon, her new neighbour, her brother and his carer) experiencing the consequences of sexuality, claustrophobic space and the unbearable pain of one slowly dying from motor neurone disease. 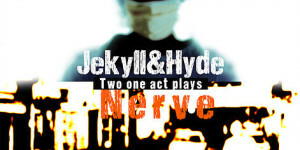 After Jekyll & Hyde the same performers presented another short play, Nerve, set in a flat with unusual characters – an edgy youngster, her pregnant friend, a lodger and a police officer. It centred round dealing with the fall-out from the musical din in a nearby apartment. Both plays – written by one of the performers, Charlie Howitt – handled contrasting tensions, unusual character developments and a real sense that all was not as it seemed and other people’s lives are twisted and unpredictable. All credit to Bungay’s Fisher Theatre for championing new stage writing and young performers. If they return, they are well worth supporting. ‘Slyghtly Hystorical’ was the clever comedic, theatrical, fun nonsense staged by Charmed Life Productions to mark 10 years of Bungay’s reborn Fisher Theatre. It’s an achievement well celebrated in play that raised a host of historical people with connections to this ‘fine town of renown’ who left their footprints on Bungay. Tim Hall played David Fisher, the impresario out of his depth trying to stage ‘Hamlet’. Dawn Briggs was an earthy Boudicca, Josh Gould portrayed martyred King Edmund and a lofty Ethel Mann while Sarah Curtis was Eliza Bonhote and the Buttercross’s justice statue. Lawrie Hammond was a swashbuckling H Rider Haggard and painter Munnings, Mark Burridge the hilarious love-sick French Vicomte Chateaubriand with Paul Baker as the splendid Baron Bigod. 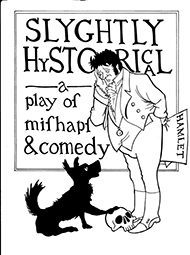 Simon Hooton was Clay’s printers founder John Childs and Joe Edmunds the cute toothless Black Dog blamed for every mishap. 14-year old Ella Thompson-Ives is one to watch for the future – she played the contemporary world-weary teenager with style and energy. Slyghtly hystorical indeed, with elements of postmodern time manipulation, physicality and romping entertainment, this reminded us just what a gem Bungay has in its theatre.